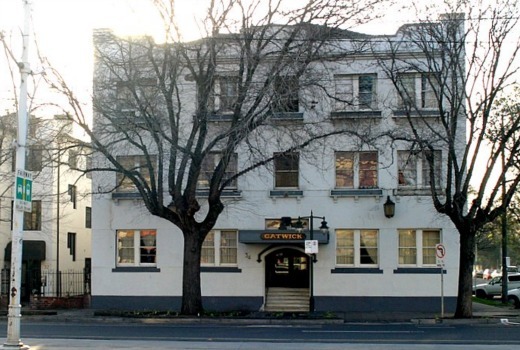 The Block producers have lodged renovation plans for their 2018 series at The Gatwick Hotel with Port Phillip City Council. The Nine series is already making plans for its St, Kilda site while its 2017 series remains underway at Elsternwick. Gatwick plans suggest it could be the biggest cast the show has ever had. Producers want eight apartments, an additional level for the property, and a reduction in car parking from 13 to 6. About 60 current residents have been relocated from the boarding house to alternative accommodation with a handful more awaiting new housing arrangements. Executive producer Julian Cress told News Corp, “We are always very open with the councils about what we are seeking to do and we shared the original concepts for what we thought would be the right solution for the Gatwick with them (Port Phillip) several months ago and the response was very positive. “Now we have got to go through the official process of them going through the plans in detail but I am very confident that what we are wanting to do is very sympathetic to the heritage restoration of that building. Port Phillip Council has been the most Block-friendly council so far, with South Melbourne (twice), Albert Park and Port Melbourne properties all within its vicinity. One mayor even gave a speech at a media event at The Block Skyhigh. After TV Tonight first hinted at The Gatwick as a future site last November, Nine confirmed the location in March. Filming at Elsternwick runs until the end of July with an auction tipped for November. With 8 competing the chance of winning has greatly reduced. It make you wonder if the producers submit plans to all the building permits in advance , how much control do the contestants actually have in deciding thier floor plans ? So will they be going back to two series? Next year St Kilda amd Gatwick? No. Gatwick is in St. Kilda. Think I would prefer if there was 4 teams & each team has to do two apartments.